This June 20, 2017, file photo shows Ford Focus compact cars at a dealership in Chicago. 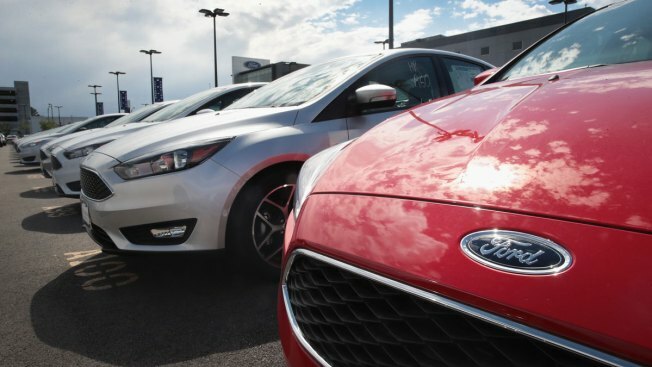 Ford is recalling nearly 1.5 million Focus compact cars in North America because a fuel system problem can cause the engines to stall without warning. The recall came after the U.S. government's National Highway Traffic Safety Administration presented owner complaints to Ford. About 1.3 million of the recalled vehicles are in the U.S. Dealers will reprogram the computer with new software that will detect a stuck valve, which the company says will take care of the problem in most cases. They'll also inspect the valve, a carbon canister and gas tank and replace them if needed.